The Agayon is back on tracks ! I had a lot to deal with in 2018 but I finally found time to move forward on the Agayon. The chassis was not satisfactory and I decided to start over on a wine crate painted in black. This design is much stronger and the base is robust. I was helped by a colleague who was able to build a nice wheel fastening system. In the last episode, I presented my homemade Lidar system. It worked great inside my house but unfortunately, the optical rotary encoder was saturated with sun light. It was impossible to operate. We discussed the problem with some friend and concluded that the optical encoder could be removed if the angle is deduced from the stepper motor position. Time passed and roboshop presented a new RPlidar system. It is cheaper than my LIDAR-Lite 3. I decided to give it a go. It will be easier to get accurate measurements with this one. Its sample frequency goes from 4000Hz to 8000Hz. My custom system mad a measurement every 500 ms. As the LIDAR-Lite 3 is equiped with a servo motor, I will try to map in 3D. Both lidar will be useful to check the accuracy of the measurement and debug my code. There is a nice python module for the RPlidar and it works out of the box with the BreezySLAM library. The following picture displays my living room. In the next weeks, I would like to connect the motors, motor driver and Arduino. 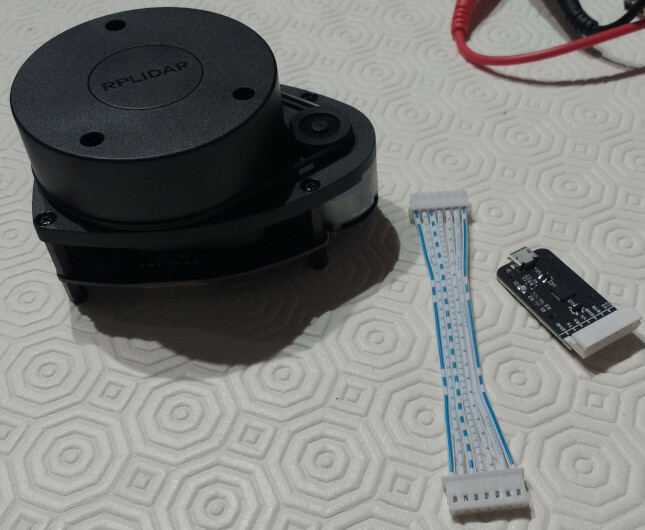 The code needs to be written to get information about the rotary encoder of the Polulu motors. The Raspberry PI will be connected to the system and it will acquire the data with a serial connection. As the interrupt pins are perturbed by the serial connection, data will be sent hen the robot is stopped in a first step. Previously on agayon.be, I mentioned a new small project: a SLAM device. It was finished recently and this article presents its final form. 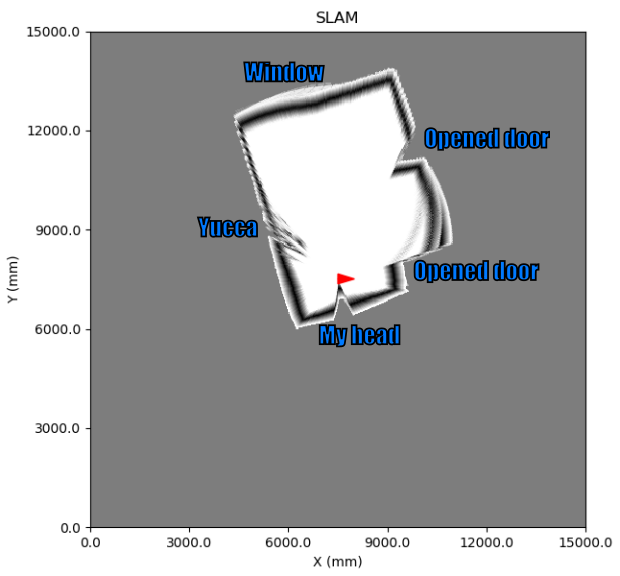 A follow up to my previous post: building a SLAM device to map a room in 2 or 3 dimensions. I recently purchased some new products. The aim is to build a mapping device for the Agayon. 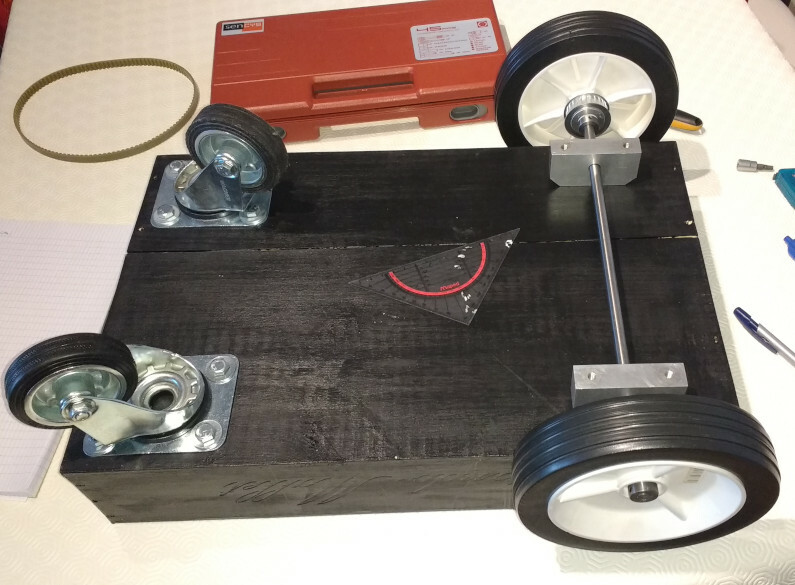 This subproject will be built from a Lidar Lite v3, a 5V stepper motor, pulleys ,belt, a compatible arduino nano v3, slip ring and a homemade wooden chassis.